The graduation marketing machine is in full swing, and friends and relatives of college grads are buying tons of gift certificates to places where they don’t shop (read: Bed Bath & Beyond) and stuffing cards with cash that they will blow this Friday at the bar with their friends. I know, I was there last year. So instead of $50 for linens or cash that turns into Patrón, send this post to your new grad. I’ve lived as a hyper-connected adult for a year and these five sites have helped me save time, money, and sanity while navigating the real world. These are the five best online tools and websites for young adults (and anyone else for that matter) to get their financial, personal, and business life in order. Mint pulls all of your money (checking accounts, savings accounts, student loans, cars, houses, investments, retirement accounts, everything) into one awesome interface to show you exactly how much money you have, where it is, and what it’s doing. You set monthly budgets for spending and get alerts when you go over budget. It also emails you after a big withdrawal or deposit and when your credit card interest rate changes. There is a whole section that shows you the best credit cards, savings accounts, and CDs based on your average spending. Mint even tracks the value of your house and cars so you always know your net worth. (Not so important for young adults, but definitely for their parents). Sign up for E-mealz (for about 5 bucks a month) and every week you get a menu for five dinners customized to your situation. Kate and I are on the Walmart Meal Plan for 2, but there are a ton of options for everyone. 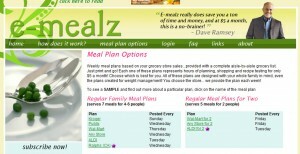 Like Low Fat Any Store for 2, Vegetarian, and Family Meal Plan for Any Store. The recipes are easy to follow and you also get a separate shopping list page (broken up by store section!) that lists exactly what you need and how much it costs. We eat five healthy dinners for around $45. And we never stress about “what’s for dinner”. 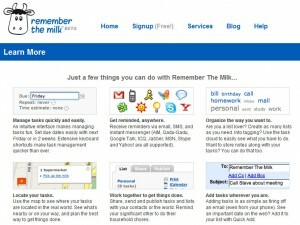 I’ve actually never used Remember the Milk (I have too many to-do lists as it is), but I’ve heard great things about it. You set up a profile and make a big to-do list. You then organize tasks by topic, set the locations of the tasks, and set recurrences. You can access your lists from your mobile phone or the web. Say a certain someone always forgets his electric bill is due on the 8th. Set him up with Remember the Milk and have a reminder sent to his email, phone, IM and Skype every 6th of the month. He’ll never miss a bill again! 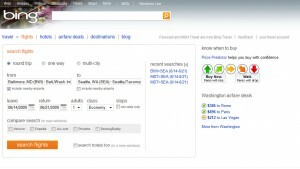 Farecast actually just got absorbed into Bing Travel this week, but it still works great. It’s a flight booking program that predicts how your fare will change. You pick your trip dates like any online booking engine and if you’re flying from a major US airport you’ll see a fare prediction arrow. It tells you to buy now or wait ’til later. A brainiac Ph.D. wrote the algorithm that predicts the fare changes after analyzing flight price data for years. He then made a website using the data and sold it to Microsoft for $115 million. I personally saved about $600 on a flight to Jamaica using Farecast. It can take some work to find the best rates but if you’re a little flexible you can save hundreds of dollars. Every twentysometing has at least 3 email addresses: one for school, one personal email address and one from years ago that he never checks. Consolidate them all into one Gmail account. You can set up Gmail to get all incoming mail from a bunch of addresses. And you can even send mail via other addresses right in the Gmail interface. It’s pointless to check 2 or 3 emails a day when you can have them all in a centralized location. Do you have any other lifehacks for young adults? Xander is a Senior Internet Marketing Strategist at WebFX. You can find him riding his bike or longboard towards donuts.